The racetrack is set, the heat is on, and the Deejays are ready to rock you up like never before! Introducing Trax On Track 2012! An awesome event that combines both motorsports and music in one place! If you are into cars and dance floors, this is the event for U!!!! 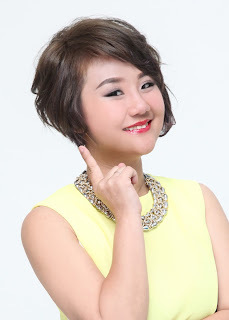 One of the acclaimed DJs gracing the event is Taiwanese DJ Charlene. Influenced by hip hop and R&B since she was a kid, Charlene started out with a dream of becoming a singer-songwriter. However, she soon fell in love with DJ-ing when she met her mentors. Her sets are a smooth blend of disco, house and of course, hip hop and R&B. Also from Taiwan is DJ Lisa Ries. A potent combination of skills and beauty, Lisa has the uncanny ability to read the crowd and entertain them with great mixing and track selection. Her eclectic sets boast elements of scratching and turntablism, along with the latest club hits that is sure to make a crowd go wild. Dutch DJ duo 4 Strings will also be spinning at the event. Founded by Jan De Vos and Carlo Resoort, 4 Strings is one of Holland’s top DJ acts. They’re well known in the trance community for their hits like “Daytime”, “Into The Night”, “Sunrise” and many more. In fact, they even won the award for Best Progressive House/Trance Track of 2002 at the International Dance Music Awards for the song, “Take Me Away”. But they’re not the only DJ duo at the event. German DJ act Kyau & Albert will be blazing up the dancefloor with their brand of vocal trance. The group comprises of Ralph Kyau and Steven Moebius Albert. Recognised as one of the best DJ acts in the world by the influential DJ Mag, Kyau & Albert have a list of accolades to their name, like a prestigious Beatport Music Award for their remix of Cressida’s “6AM”. 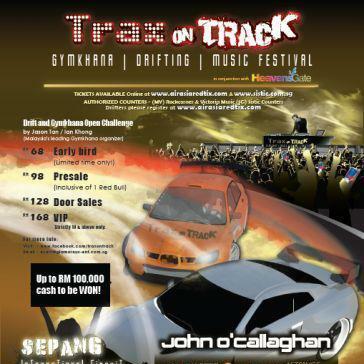 Ireland’s best trance export, John O’Callaghan is also set to make an impression at Trax on Track 2012. 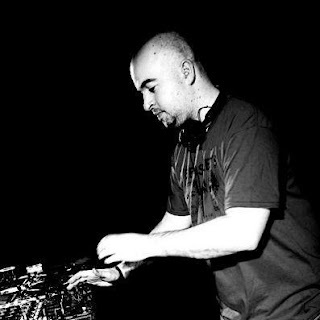 John is certainly an A-lister in the industry, with consistent features in DJ Mag’s Top 100 DJs poll and numerous awards under his belt – he was declared Best DJ at the Irish Dance Music Awards for three consecutive years! Next on the line-up is Woody van Eyden, whose work with Alex M.O.R.P.H. on the track “Turn It On” catapulted his career as one of the most in-demand remixers/producers in the industry. Woody has worked with big names like Armin van Buuren and Paul van Dyk. He also co-hosts the radio show Heavensgate, which is broadcasted globally. Last but certainly not least, DJ Messic will be representing Malaysia amongst all the international talents. With experience gained from spinning actively in the local scene, DJ Messic will certainly know just the right buttons to push to get the crowd on their feet. How to win the 5 tickets total worth RM640??? from Me ?? 2 * Comment "I want Trax on Track tickets"
3 * 1st 5 Comment Win! 4 * Winners will be announce and email on 11 November 2012. I want Trax on Track tickets!!! !